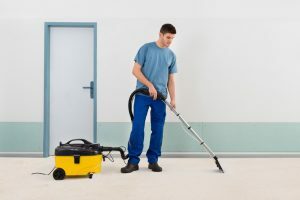 Despite the daily cleaning that you do, Carpets are known to trap a lot of dust and dirt down in the fibers that can cause health issues and allergies to the workers in your office. Here is why you should consider hiring a carpet cleaner if you want better air quality in your office. Professional carpet cleaners have a good foundation of cleaning carpets, and they make sure to focus on the areas that receive a lot of foot traffic, prioritize on those areas and make sure your carpet is thoroughly receiving the right attention on the most endangered areas. No matter what kind of fabric, professional carpet cleaners have the proper techniques, tools, and methods for cleaning and thus leaving your carpet clean and facilitating quality air in your office rather than using do it yourself technology that might not be right for your carpet. Getting quality air is another reason for hiring a professional carpet cleaner. If the location of your office is in a populated, dusty and an area that has a lot of dirt, you don’t want to risk inhaling bacteria filled and dirty air from your carpet. Carpets can hold vast numbers of bacteria and contaminants. Getting rid of pollen and dirt that have sunk deep down in your carpets is one way of minimizing allergies and ensuring you have quality air in your office. Hiring professional carpet cleaner is the only way to assure quality air in your office. You might think there is no difference between regular carpet cleaning and use of professional carpet cleaners. However, with professional carpet cleaners, they use vacuuming techniques that ensure your carpet is left clean and free from any dirt. Use of quality machines and vacuums instead of dry mops removes all the dirt and allergies from the carpet. Additionally, the pros clean the carpet using intensive vacuuming and hot steaming that penetrates deep down to the carpet fibers removing most of the soil which cannot be possible with regular cleaning. Professional carpet cleaners also have access to industrial cleaning solutions that eliminate all kind of odors and stains and utilizes hard surface tools to cover and reach a wide range of allergen-producing areas thus leaving your carpet smelling fresh and new. Professional carpet cleaners guarantee satisfaction for their services, mostly two weeks. The guarantee gives you time to stay with your carpet and examine whether you are satisfied with their work or not. An excellent and professional carpet cleaner will work harder to ensure they give the services you will be happy with, and also strive to keep up their reputation and build confidence to their clients. Overall, hiring a professional carpet cleaning company is a good idea and the best way to keep your carpet, fresh clean and new. You minimize the chances of dirt accumulation, the buildup of bacteria and other contaminants ,and ensure there is quality air in your office.